OK it's not often that I think it's time to rest... but a few days before a planned rest week I am ready, in fact I've been ready since the weekend and the half marathon. After Monday's easy 10km it was time for track, and Tuesday called for... 10 x 600m now I guess I should be running these in under 2:00 but the legs weren't up to that... I started with a 2:05 and then after 4 at 2:02 I called it a day. 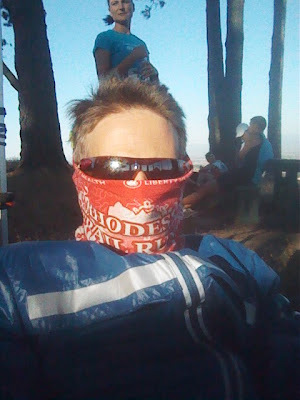 5 was more than enough I did after all have a race to run on the Wednesday evening... 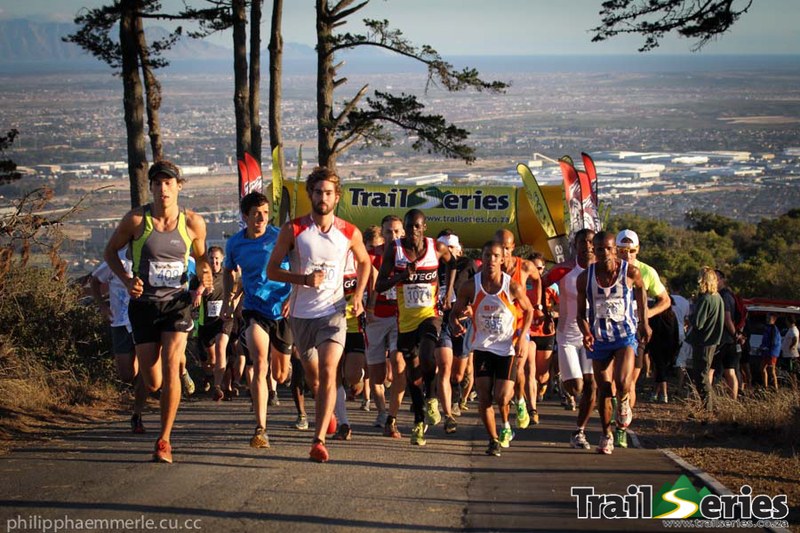 Trail Series number 3 Tygerberg hill, and unlike the other races it's down and up and down and up, and down and up.. or something like that.. It wasn't friendly out there, so I didn't do much of a warm up and when the gun went off I took off like a bullet, but not one been shot from a gun, one on the back of a donkey card pulling scrap metal through the townships!!! I saw Johnny ahead as he started the climb and took a split 40sec, but he was walking now... I made the turn and started the climb, (I wish I had rested a bit more before the race) it was slow going, but I passed Johnny and 2 or 3 other guys! Now to build a lead before the down... Love this down it was rocky with lots of turns and if you wanted to do a bit of bush diving just run to fast!!! Near the bottom I caught a guy, but couldn't get away from him and maybe my legs were now feeling the first big climb, but I was the guy slowing and he got away. Rest up, I can feel your weariness in this post. Sleep is my next best friend to running. You make it almost sound like fun - running up and down those hills. But you can't fool me. I know they'd have hurt. There were some big mothers in that race! JUST HOW LONG IS A MARATHON?